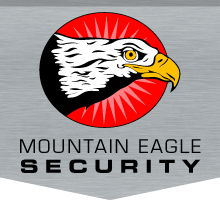 At Mountain Eagle Security, our superior service speaks for itself, and our clients feel the same way. Below are some of the testimonials we have received from our clients or the general public. Contact us today to book our security services. They Always Get Their Man!  I would like to express a very sincere thank you to Chris Nomland and the rest of the Mountain Eagle Security personnel for going the extra mile to find a very valuable ring that I lost last Friday. Not knowing where it was actually lost, I mentioned the loss to Chris when I was leaving work last Thursday. He assured me that he and the Mountain Eagle Security team would thoroughly check the college for me, and if it was here in the college they would find it. They posted pictures, talked to the cleaning personnel and looked themselves. He said, that they always get their man (or in this case, their ring!) and he was right!